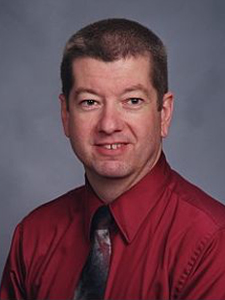 Daniel W. Clark, Ph.D. is a licensed clinical psychologist currently working as the Washington State Patrol Department Psychologist. Dr. Clark is the clinical director of the Patrol’s Peer Support and CISM teams. He is the CEO of Critical Concepts Consulting. Prior to working for WSP, Dr. Clark worked in inpatient, outpatient, and community mental health settings for the U.S. Army. He is currently a Lieutenant Colonel in the U.S. Army Reserves. A member of the International Critical Incident Stress Foundation faculty since 1998 and an approved instructor since 1996, he is also past President of the Washington Critical Incident Stress Management Network. Dr. Clark routinely presents on a variety of topics including workplace violence; suicide prevention, intervention, and postvention; critical incident stress management; peer support; death notification; time, anger, and stress management; coping with change; communication skills; dealing with difficult people/employees, and related topics.